An estimate of how much memory is available for starting new applications, without swapping. Calculated from MemFree, SReclaimable, the size of the file LRU lists, and the low watermarks in each zone. The estimate takes into account that the system needs some page cache to function well, and that not all reclaimable slab will be reclaimable, due to items being in use. The impact of those factors will vary from system to system. I recommend that you read the kernel commit description for further details. Many system administrators rely on the “free” tool to get a quick overview of the system’s memory usage. Unfortunately, the latest “procps” package still doesn’t interpret the “MemAvailable” metric, and even if it did, we don’t have it in Linux kernels before 3.14. Actually, the developers of the “procps-ng” package (which is the Debian, Fedora and openSUSE fork of “procps“) have reacted and did the same thing as me. For kernels before 3.14 they emulate the metric in the same way, and for kernels after 3.14, they display the native metric from “/proc/meminfo”. This makes my Perl port more or less redundant. This is the reason I wrote a quick replacement of the “free” tool in Perl. A few examples of it follow. Categories: Development, Linux | Tags: /proc/meminfo, free memory, Linux kernel, MemAvailable | Permalink. I’ve given another try to understand the Linux memory usage statistics which are exported by “/proc/meminfo“. The main reason was to know how much memory is still available for free allocation by user applications, and also to understand the memory usage of the different Linux subsystems like the kernel, file system cache, etc. The whole analysis is done on 649 machines with different workload. Most of them are running a 64-bit Linux kernel 3.2.59, while the others are running a 64-bit kernel with versions between 3.2.42 and 3.2.60. This is an LTS Linux kernel. One of the most astonishing facts that I found out was that the “tmpfs” in-memory file system is counted against the “Cached” value in “/proc/meminfo”. The “tmpfs” file system is commonly mounted in “/dev/shm”. There is a separate stats key “Shmem” which shows the amount of memory allocated to “tmpfs” files, but at the same time this memory is added to the value of “Cached”. This is rather confusing because we’re used to think that both “Cached” and “Buffers” are reclaimable memory which can be freed anytime (or very soon enough) for use by applications or the kernel. 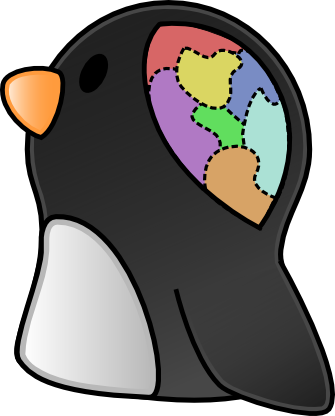 That’s the current behavior of the “free” memory statistics tool which is widely used by System administrators to get an overview of the memory usage on their Linux systems. The “free” tool is part of the “procps” package which as of today is still not fixed and showing the “Cached” memory as free. The “cached” memory got 800 MB bigger. The free “-/+ buffers/cache” memory is still the same amount (2124 MB), which is wrong because the used memory in “tmpfs” cannot be reclaimed nor given to user applications or the kernel. The reason that “tmpfs” is added to the “cached” memory usage is because “tmpfs” is implemented in the page cache which is accounted in the “cached” stats. The formulas give an error of up to -3% for only 6 machines. For the rest of the machines the error is less than +/- 1.5%. The less total available memory a machine has, the bigger the error. I suppose that this small error comes by the fact that not all “/proc/meminfo” counters are updated atomically at once. Categories: Linux | Tags: /proc/meminfo, Linux kernel, Linux slab, tmpfs | Permalink.